Thanks for joining me Sarah. First of all, would you tell my blog readers a little about yourself? I’m 45, a former political correspondent and news reporter on The Guardian, and now a novelist, who’s just completing my fourth novel. I live just outside Cambridge with my husband and two children, aged 12 and nine; a grumpy, geriatric Tom cat and a very lively and time-consuming puppy. I wrote stories as a little girl but stopped during my teens when academic work became more pressing and I felt my imagination ebb away. I read English Literature at Oxford and knew I wanted to write for a living but never considered writing a novel: Woolf and Eliot being the most modern writers I’d studied, it just didn’t occur to me that it was something someone like I could do. I do remember asking about publishing at the university careers office, and gaining the sense that you had to be wealthy and have contacts to pursue this (! ), but I’d written features and reviews for Cherwell, the student paper; done work experience in local radio; and thought I could become a journalist. At least this way I could write. After a year of temping and building up work experience, I did a five-month journalism course, which taught me shorthand and media law; trained with the news agency, the Press Association, for two years; and at 25 got a staff job on the Guardian. I left to freelance after having my second baby and moving out of London, and at my fortieth birthday tipsily announced this was going to be the year when I wrote a novel. I was very lucky. Six weeks after making that surprise announcement I wrote to my now agent Lizzy Kremer, telling her I’d written 30,000 words of a novel; knew exactly where I was going; could meet deadlines; and was meeting my daily word count. By the time she’d retrieved my first three chapters from the slush pile, two months later, I’d written 68,000 words of the novel which I then sent to her. Over the next nine months, she effectively gave me a bespoke course in novel writing and in October 2013 The Art of Baking Blind was bought in a two-book pre-empt by Hodder and Stoughton and sold to nine other publishers. I was so naïve that I had no idea how difficult it was to be published but I did know I had a story to tell. I think the speed with which this happened was due to the fact that I’d spent 20 years writing – from my degree essays to my 15 years in journalism. I wrote my second novel for Hodder, The Farm at the Edge of the World, which has since become a bestseller in France. 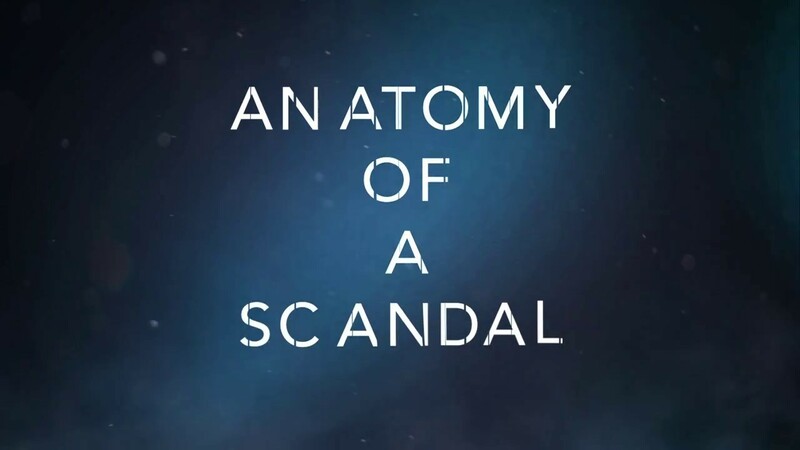 And then, out of contract, I wrote Anatomy of a Scandal, the novel I’d been itching to write. It’s about power, privilege and consent. Freakishly topical, it features a charismatic junior government minister who’s been having an affair with his parliamentary researcher – and is then accused of committing a crime in a House of Commons lift. There’s a story that runs in parallel, about events that happened 24 years earlier when James, and his best friend Tom, now the prime minister, were at Oxford. Told from multiple viewpoints, but predominantly from the POV of Kate, the criminal barrister prosecuting him, and Sophie, James’s wife, it’s part courtroom drama, part portrait of a marriage and part an exploration of how our demons still haunt us. We’re calling it a psychological drama but I hope it grips. I had a working title suggested by my agent that didn’t feel quite right, in part because I hadn’t thought of it. I was working on the final edits of the novel and had met up with my friend Terry Stiastny, a former BBC political correspondent who writes political thrillers, and a contact of hers. Terry had read an early draft and this contact asked her what it was about. “Well,” she said, “I suppose that really it’s an anatomy of a scandal” – and I had a light bulb moment. I’m thrilled because I’m going to spend it going around bookshops in London signing copies and am then going to celebrate with a launch party. I had a party for my debut novel but didn’t celebrate my second. (Although I did have a fantastic launch in Paris, where I also launched my first book.) I regret spending my previous publication days at my desk, trying to pretend I’m working, while chatting on twitter and can’t wait to launch this in style. I’ve just completed the latest draft of my fourth novel and I suspect there’ll be quite a lot of editing to do on this. 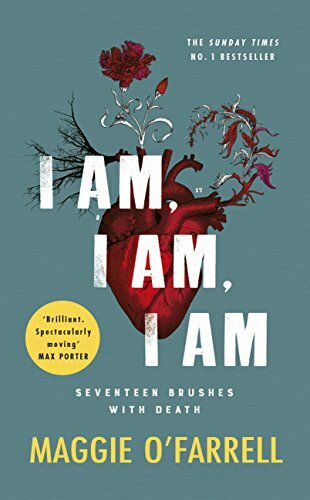 I haven’t got a title yet – I’m hoping for another light bulb moment – but it has a similar feel to Anatomy, in that it charts what happens when a character is accused of a crime. 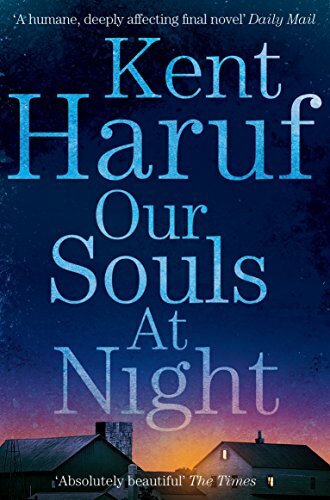 I really enjoyed Kent Haruf’s Our Souls at Night, which is spare, slim and poignant, and reminded me of Elizabeth Strout’s Olive Kitteridge. 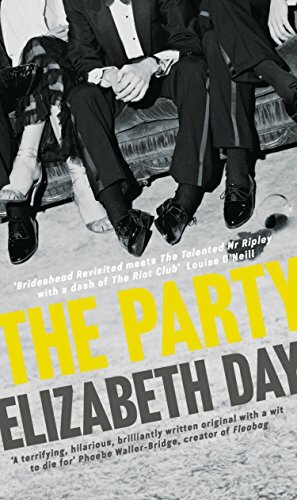 Elizabeth Day’s elegant and satirical The Party has a disarming unreliable narrator and mines a similar seam to Anatomy, in exploring privilege among gilded Oxbridge youths. We’re doing a couple of events together, in Cambridge and London, as there’s so much that resonates between our books. 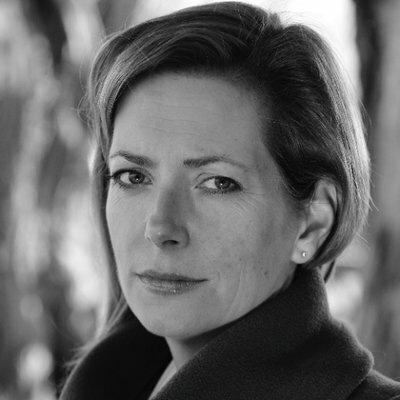 In non-fiction, Maggie O’Farrell’s I Am I Am I Am was exceptional. I was in tears at the end of it and it managed to be both gripping and hugely life-affirming. I’m a fan of her novels but this is easily the best thing she’s written: I’ve be pressing it into friends’ hands. 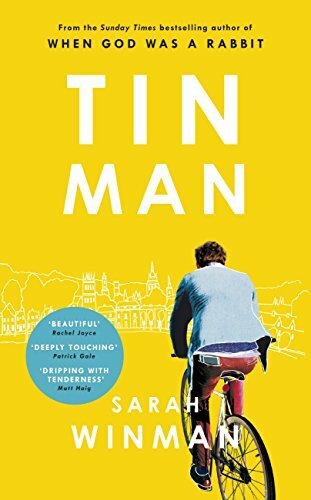 I’ve just started Sarah Winman’s Tin Man, which shows a different side of Oxford to Anatomy, and is so far proving tender and exquisite; and a proof of Katy Regan’s characteristically warm next novel, Little Big Man, which is partly told by Zac, a wholly convincing child narrator. It’s such a cliché but possibly Pride and Prejudice. I remember first reading it at 13, when I didn’t have a clue about satire or free indirect speech, and being amazed that someone could do this with language. At the risk of sounding hugely arrogant, in my dream world I’d love Anatomy to be a TV drama series. It has atmospheric settings – the Houses of parliament, the Old Bailey, and Oxford colleges; the drama of a court-room and a suspense-filled past story; and, I think, would lead to water-cooler type discussions. 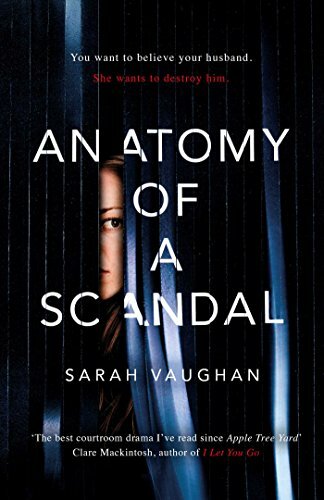 I’m on twitter: @SVaughanAuthor, FB: Sarah Vaughan Author, and instagram: svaughanauthor, (though I’m not very active on that – something I need to change.) Although I moan about being distracted by social media – twitter in particular – it’s been a fantastic way to connect with other writers and readers. I’ve not read any of her books as of yet but Anatomy of a Scandal is on my list for this afternoon. Can’t wait! It’s brilliant, sure you’ll love it.